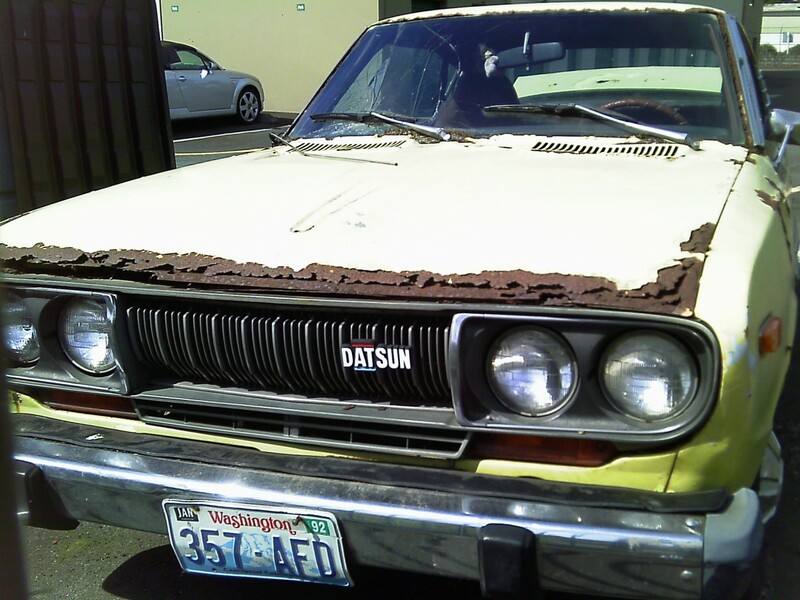 Our own Perry Shoar has dubbed Washington State “Old Japanese Car Heaven,” and rightfully so; our mild climate is very kind to even the most rust-prone vehicles, including the notoriously biodegradable Japanese cars of the 1970s. 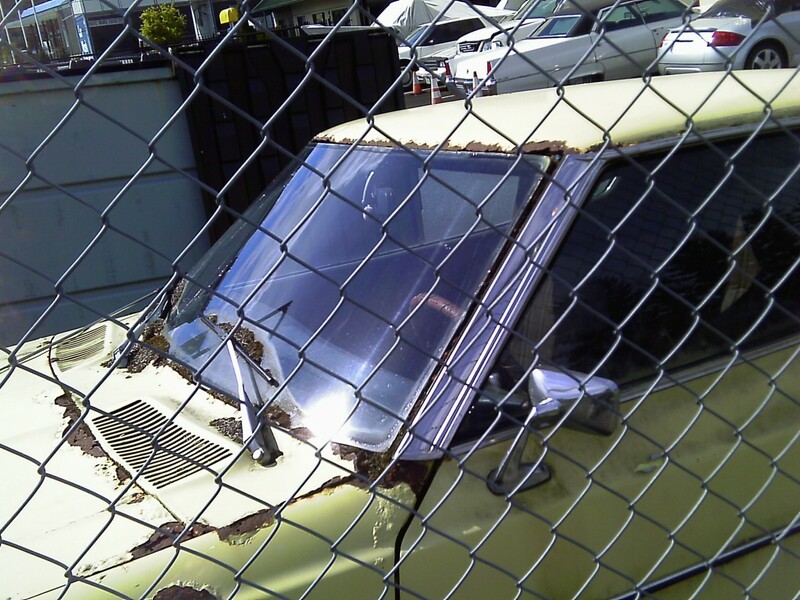 But this particular old Datsun is behind bars on death row with no chance of parole. Those of you who reside in states and provinces where the roads are salted in wintertime will probably have to stifle a yawn when you see this photo of the Datsun’s cowl. “Hey, that’s nothing! I remember when…” Yeah, I bet you do, but I don’t. To my naive Pacific Northwesterner eyes, this is an amazing sight. How much (or how little) work would it take to remove that windshield? If you need a nice rust-free hood for your old 710, look somewhere else! However, it looks like we may have a fairly good front bumper for the 710 wagon that Paul wrote about recently. Ouch! 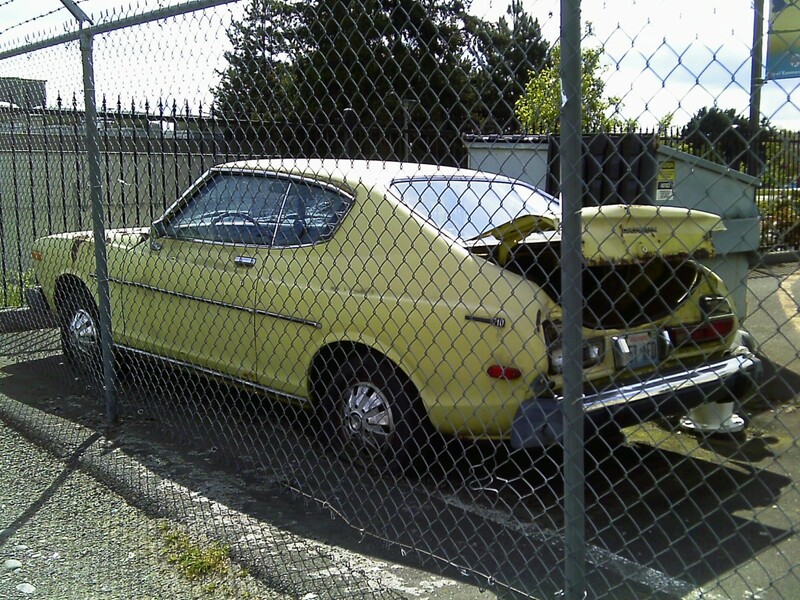 Once upon a time, this car got rear-ended by something much taller than a Datsun 710. For a car of a certain age, it’s the automotive equivalent of a career-ending injury. Well, at least the door and the rocker panel are pretty rust-free. 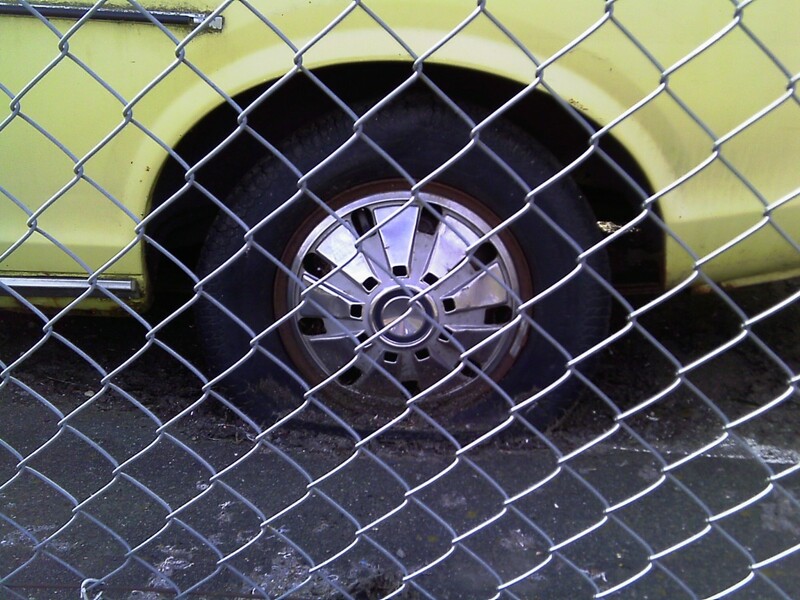 Where does the tire end and the pavement begin? After sitting still for so long, the tire has merged into the asphalt. Nice wheelcover, though. The rear-fender “Datsun” badge is gone, but if you’re looking for a 710 cap, we’ve got one right here. The license on this Datsun expired over 22 years ago. Washington no longer requires a yearly tab on the front plate, but that rule didn’t go into effect until 2002. A shot of the passenger side shows that this is literally a car behind bars. It also reveals a very asymmetrical rust pattern; in contrast with the driver’s side, the passenger side door is quite sheer and revealing; sheetmetal lingerie, if you will. Whenever I see an old Datsun 710, it brings back memories of high school, and the Music Appreciation teacher who drove a 1971 or 1972 240Z. It was orange, and instead of the usual aftermarket wheels that so many of those cars received, this one retained the standard color-keyed wheelcovers. He was very tall (well over six feet), and it was always an impressive sight when pulled up in front of the school and unfolded out of that low, low sportscar. You could tell he loved that car as much as he loved Beethoven and Mozart. But Fate came between the 240Z and the Music Teacher when he fell in love with Vicki, the English Teacher. They married, had a daughter and traded in the Z on a new green 710 4-door. Though Vicki was pretty fond of her new husband’s orange Z, (she called it “the 240,” always with a little smile) it didn’t have room for three, and it had to go. I suppose it’s a pretty common tale. Before we say goodbye to the sad old incarcerated Datsun, let’s have a look over its shoulder at some cars that hopefully will encounter a kinder fate. There’s a predictably-silver droptop Audi that should have been out on the road on such a sunny day. 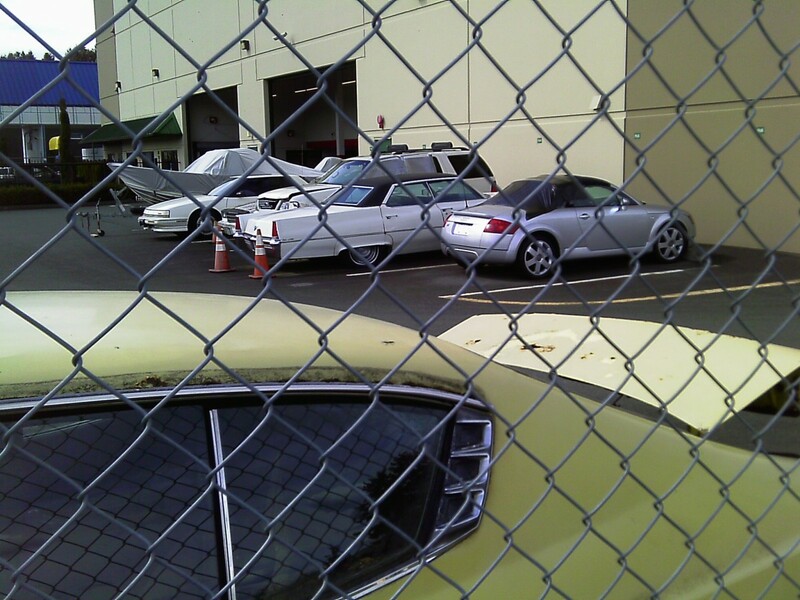 Next to it, there’s a very presentable Caddy 4-door; looks like a 1969 or a 1970. Beyond that, we have a Ford Explorer or Expedition, followed by a 4th-generation Monte Carlo, a Toronado Trofeo and a boat that looks as if it’s been shrink-wrapped. But what can our Datsun hope for? Possible reincarnation as a kitchen appliance? Datsun, I’ll remember you in my prayers. Thanks for the memories. The Caddy is a ’69 Sedan de Ville. My oh my, that is a rusty car. As good as the drivers side looks, I’m betting that it got some new panels from a collision repair at some point. I for one would never try to remove that windshield – it doesn’t look like there is anything holding it but rust particles holding onto each others by their fingertips. The Caddy is a 69. I wonder it had a damp tarp covering for a long period. Strange rust pattern. Some mechanical bits like diff and gearbox are likely still good as it would have been running when hit. Shame as this body style is attractive especially with a wheel/tire upgrade. It probably was covered with a tarp instead of a cotton car cover that would allow moisture to escape for a long time. It’s rusting from the top down, instead of the bottom up. It’s done, except for parts. Ashes to ashes, Rust to rust. I wonder if the owner has been paying for 22 years to store it? 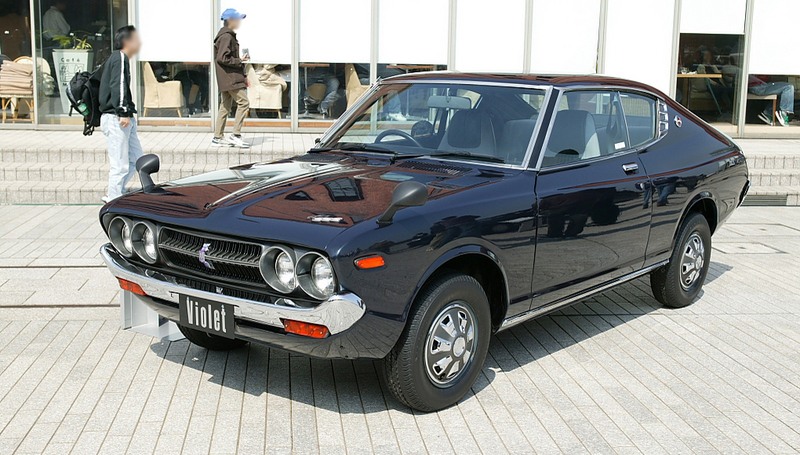 +1 Datsun made some ugly cars in the 1970s, but I’ve always liked the “honey, I shrunk the Buick” look of the 710. When I moved to Australia in the early 80s it was amazing to see 70s Japanese cars without rust holes anything like that in NZ was full of bondofill those things Datsuns especially rusted like there was no tomorow, too much of NZ is coastal so between that and poor quality paint prep Jappas were rust buckets from near new and now days 70s Jappas are a rare sight. I sure don’t miss the early rusting we used to get. It was called ‘job security’ by car sellers!! Yea that is a Ford Explorer and for one year they came yellow from the factory. This Datsun has rust patterns of a vehicle from a state that uses road salt because usually vehicles from those states have worse rust on their passenger side than driver side. 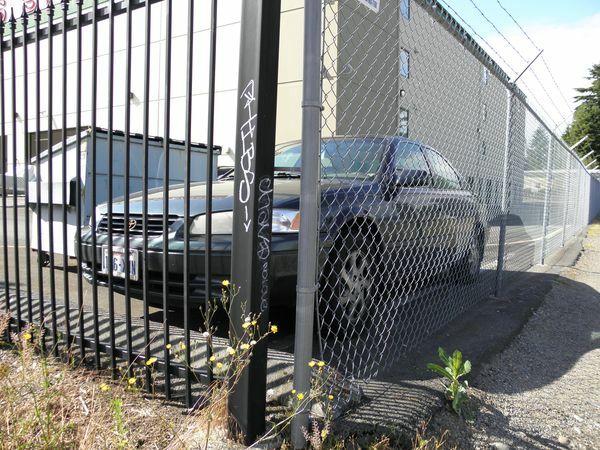 Cloud Cars and 4th generation Chrysler Minivans are also notorious for rusty hoods. So what is with the Blue and Red bar not going all the way across the Datsun name? 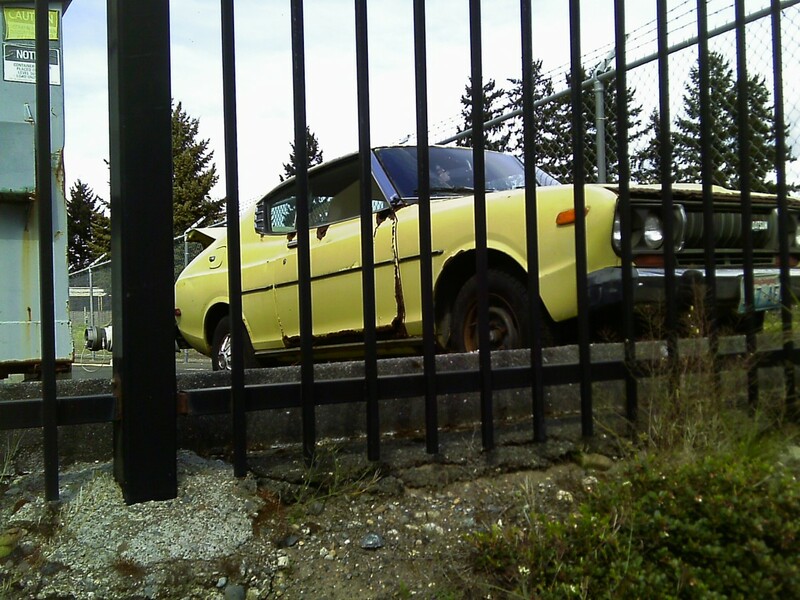 Wonder how this Datsun has been able to stay there over 20 years, is that a repair shop? Never knew Washington used to require front plate tabs, I think Oregon is the only state left doing that. Imagine if that plate combo was still active, it would probably be the only A-series on the road. Well my guess would be that the someone that loved that car at one point parked it out back hoping to one day fix it back up or to find a decent one and then use this one for parts. 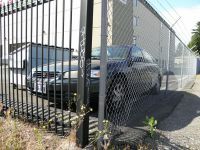 Then they moved or the city cracked down on having something like that on city property so it went to the storage facility. The recent disappearance could be explained by the fact that the owner of finally realized, after paying $X per month to store it for X months, that it just wasn’t worth keeping at that price. That’s about 4-5 years worth of Cleveland rust. Poor old Datsun, it deserved better. The 710 coupes do have a nice shape. Do all these belong to one person? What an eclectic collection. I wonder what would happen if you drove that Datsun at high speed, would it all just fly away like ashes? I doubt they all belong to the same person. It’s such a random collection of vehicles. It’s gone! I drove past the you-store-it today, and the Datsun has been replaced by a Camry with up-to-date license tabs. I like the cones around the Cadillacs ample rear. Ashes to ashes, rust to rust. Datsun was my favorite brand for years. Still have a Nissan. I don’t know if the rustproofing got better or is’s just cause I moved to the south. Mine mostly quit rusting. I had a Nissan Micra that also had Datsun badging, iirc. Actually quite a nice little car, but rotted to death in a similar way to this 710. I’ll admit it. I have a Datsun problem. I could build a real sleeper out of one of these and keep it Datsun/Nissan! These made more sense as a stylish coupe than a sedan- we had the four door Au market 180B that had a similar sweep upwards on the belt line. For smaller children like me and my sisters it made the back seat pretty claustrophobic. The 710 was my first car, it took me through 4 years of college (up in Vermont) and lasted another year until I hit some black ice on I89 near the New Hampshire border and it bit the guardrail…had it fixed up, but sold it soon after to get my ’78 Scirocco. I had a 4 door in medium blue, I think the 2 doors were really rare, even when new. Mine had Rusty Jones treatment but it still rusted pretty badly, but not like this one is. 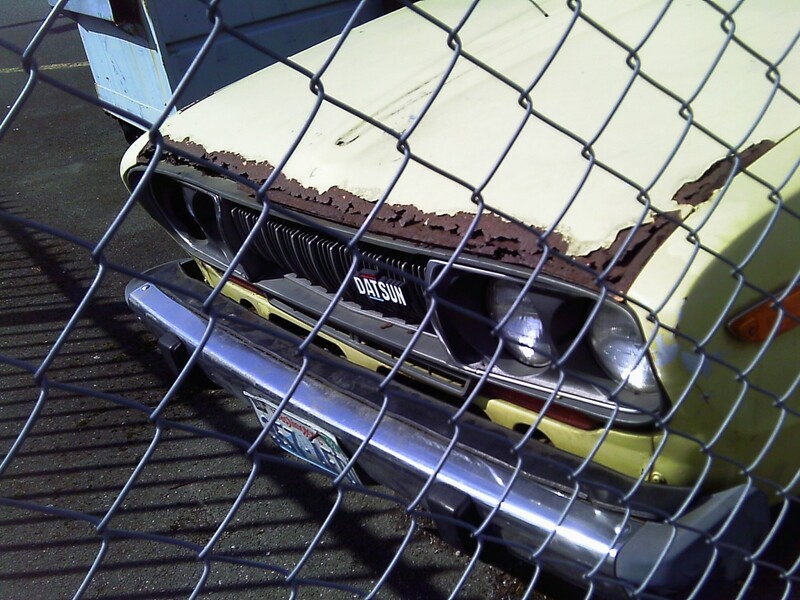 My bumpers were terribly rusted (more than the body, which had some rust through but not bad. 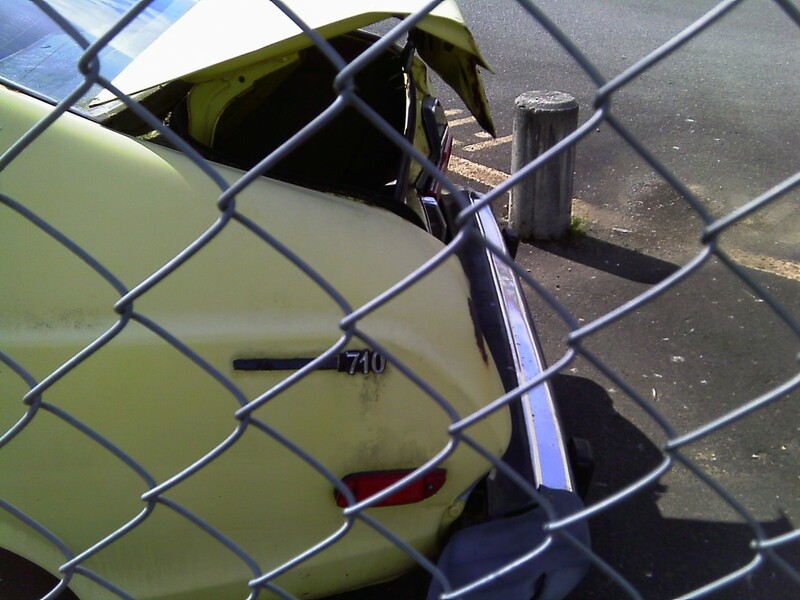 I was trying to call from work to (what I thought was) a wrecking yard, and my co-worker overheard me and burst out laughing after I had asked them if “they had any Datsun bumpers in their yard” but called the wrong number. Guess after that I verified that I was talking to the right establishment before I blurted out the question. This was dependable car, only one time caused me to break down due to ruptured coolant hose, but was very bad in snow (too light I think). The car was pretty underpowered (especially with an automatic which mine had) but I have to give it credit for getting me through college and beyond. My sister used to borrow it to go to her job at the hospital, and I cautioned her to put the gearshift into neutral at stoplights when it was slippery out until the car warmed up, since the car would try to creep forward and with little traction it would fishtail when brakes were applied stopped at light…she forgot of course, and I had to rescue her more than once to get her home. That’s a great story. I finally tracked down that bumper for you!